Casanova’s Europe explores life in 18th century Europe through the eyes of the infamous Giacomo Casanova (1725–1798). Renowned as a romantic during his lifetime, Casanova lived in Italy, France and England, traveled across the Ottoman Empire and Russia. Gathering together paintings, sculpture, works on paper, furnishings, porcelain, silver, and period costume, Casanova’s Europe brings the visual wealth of Casanova’s world to life. 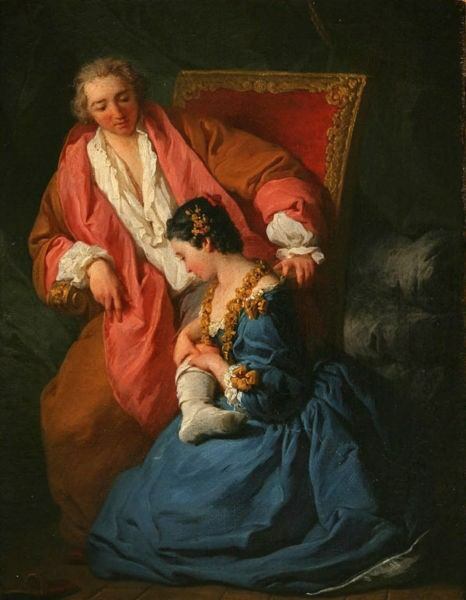 The Louvre has contributed two important paintings to this exhibition – The Curious by Jean-Honoré Fragonard and The Amorous Courtesan by Pierre Hubert Subleyras. The exhibition was previously on display in Fort Worth at the Kimbell Museum and the Legion of Honor in San Francisco.